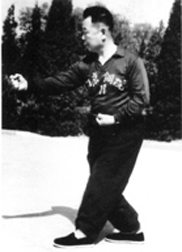 Gao Zi Ying (1908-1996) was renowned in Beijing for his Ba Gua Zhang. 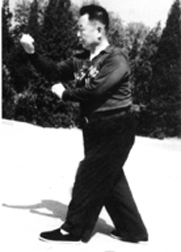 Many people do not realize that Master Gao also studied Da Cheng Quan (Yi Quan) with Wang Xiang Zai and Xing Yi Quan with Li Cun Yi. 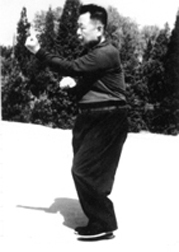 He may also have studied Xing Yi Quan with his father Gao Wen Chang, who was a student of the great Liu De Kuan. 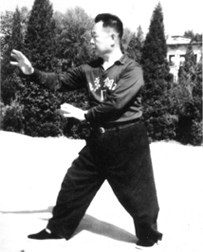 Here Gao Zi Ying performs Xing Yi Quan’s five fists with visible grace and power. 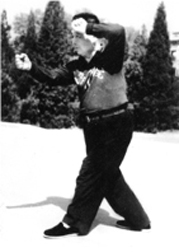 Photos courtesy of Gao Zi Ying’s son, Gao Ji Wu.